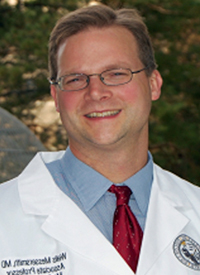 A theme of the 2019 NCCN Annual Conference was the expansion of biomarker testing to guide treatment, and a review of brand-new changes for guidelines in colorectal cancer (CRC) was no different.1 Wells A. Messersmith, MD, co-director of the developmental therapeutics program at the University of Colorado Cancer Center, said work in this area is needed to fill the knowledge gaps in metastatic CRC, which has a 5-year survival rate of just 11%. 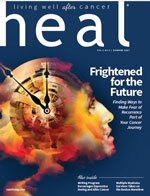 Complex genetics define metastatic CRC, which Messersmith said has 4 consensus subtypes, known as CMS1, CMS2, CMS3, and CMS4, with varying lengths of overall survival (OS).2 Messersmith explained that while there are 13 FDA-approved drugs for CRC, until recently only 4 were biomarker-driven. 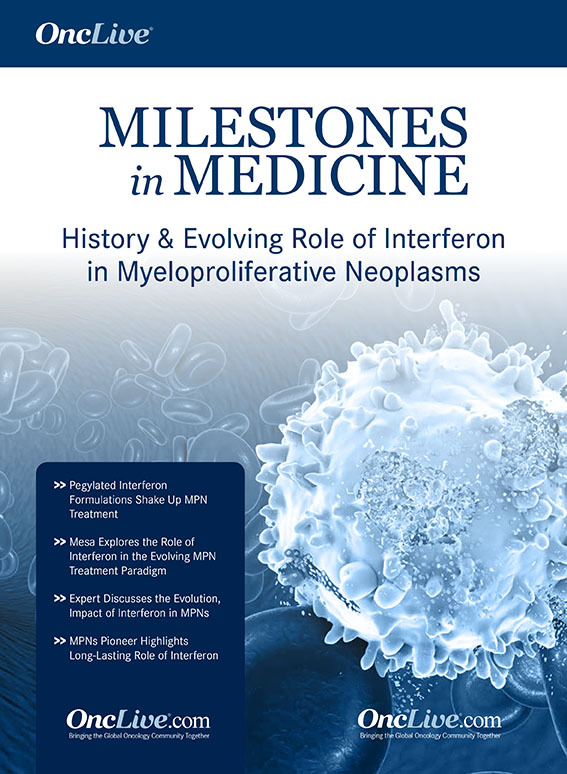 The 2019 update adds treatment based on BRAF, MEK and NTRK fusion targets. The cost of expensive combination therapy is driving the quest for better biomarkers, Messersmith explained, citing data from his university’s pharmacy that showed 24 to 30 months of combination therapy in metastatic CRC exceeded $300,000 by 2013. At the same time, OS has increased incrementally. Spending more for better biomarker studies makes more sense than spending billions on therapies that don’t work or could be harmful, he said. 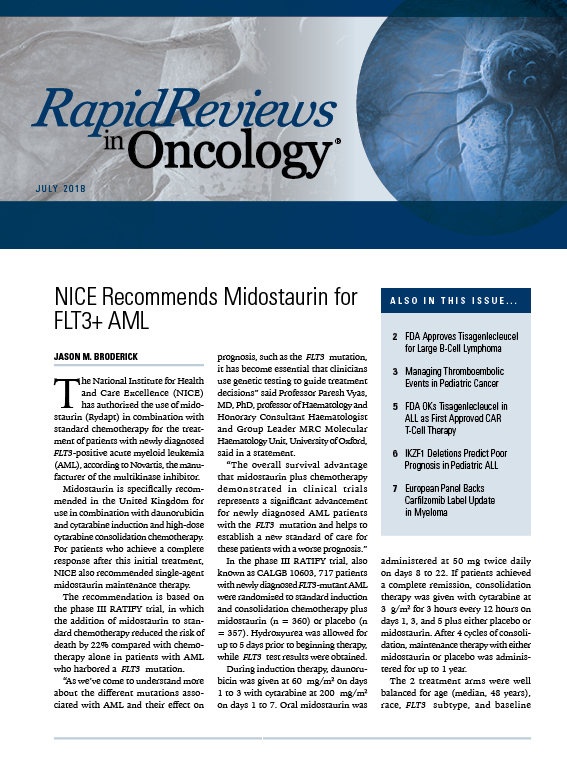 Based on the phase II VOLFI trial,3 an additional option was added for unresectable stage IV mCRC: mFOLFOXIRI plus the EGFR inhibitor panitumumab (Vectibix) for KRAS/NRAS/BRAF wild-type and left-sided tumors only. In the VOLFI trial 96 patients with RAS wild-type metastatic CRC were randomized in a 2:1 ratio to mFOLFOXIRI plus panitumumab (n = 63) or mFOLFOXIRI alone (n = 33). 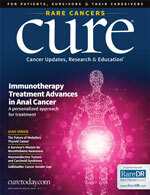 The objective response rate (ORR) with the addition of panitumumab was 85.7% compared with 54.5% with mFOLFOXIRI alone. Although microsatellite instability (MSI) and mismatch repair (MMR) is usually not inherited, this does not rule out Lynch syndrome, which is seen in 1% of cancers with BRAF V600E. Germline testing is indicated if there is a strong family history. The latest guidelines also include additional explanation of MMR immunohistochemistry testing for the 4 genes known to be mutated in Lynch: MLH1, MSH2, MSH6, and PMS2. 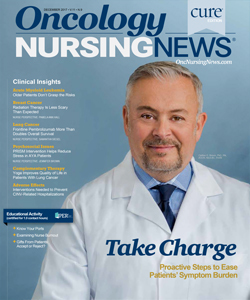 New frontline immunotherapy treatment options listed in the NCCN guidelines for advanced or metastatic CRC are nivolumab (Opdivo) or pembrolizumab (Keytruda), or a combination of nivolumab and ipilimumab (Yervoy), both in dMMR and MSI-H only. These recommendations are category 2B and are intended for patients who are not appropriate candidates for cytotoxic combination regimens. 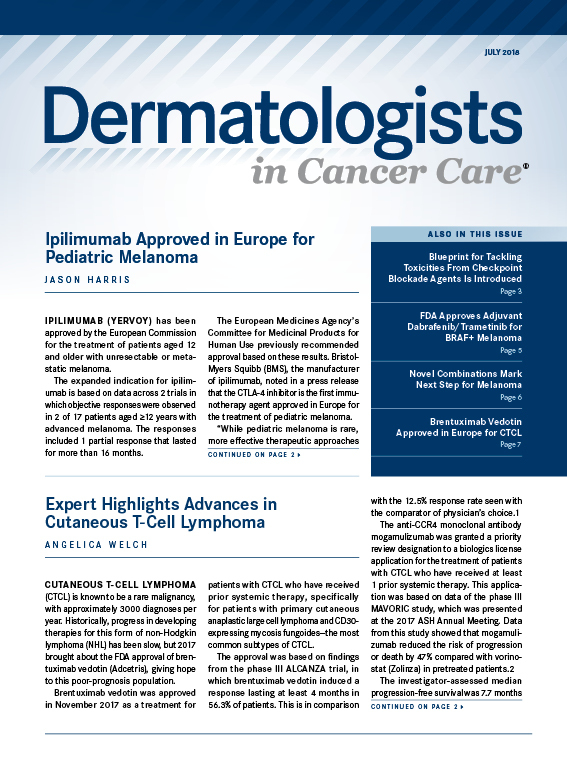 These same immunotherapy options are also listed in the guidelines as second- and third-line recommendations for dMMR/MSI-H patients. 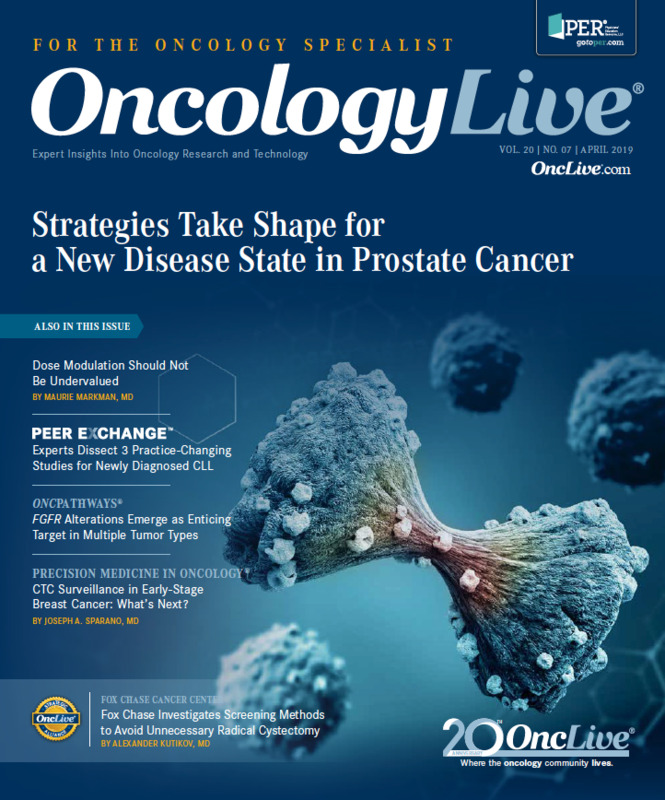 Larotrectinib (Vitrakvi) is now a second-line treatment option for patients with metastatic CRC that is NTRK gene fusion positive, based on a pivotal 2018 paper published in the New England Journal of Medicine.4 The pivotal analysis was also the basis of the FDA’s November 2018 approval of larotrectinib for the treatment of adult and pediatric patients with solid tumors that have an NTRK gene fusion without a known acquired resistance mutation, are metastatic or where surgical resection is likely to result in severe morbidity, and have no satisfactory alternative treatments or that have progressed following treatment. 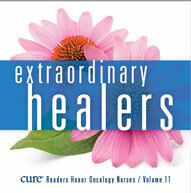 The pivotal trial included 4 patients with CRC, 1 of whom achieved an objective response. 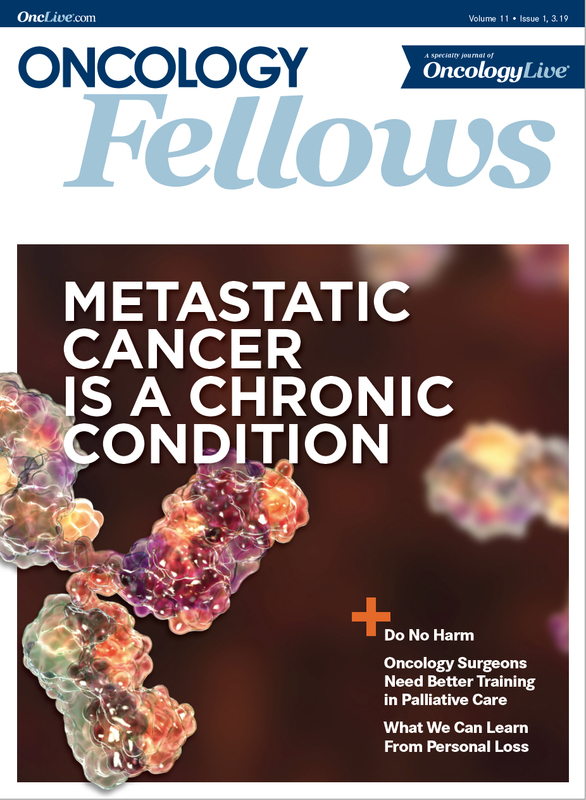 Combination therapies added to the guidelines as second-line options are: (1) dabrafenib (Tafinlar; BRAF) plus trametinib (Mekinist; MEK), plus cetuximab or panitumumab (EGFR mAb), (2) encorafenib (Braftovi; BRAF) plus binimetinib (Mektovi; MEK) plus cetuximab or panitumumab (EGFR mAb). 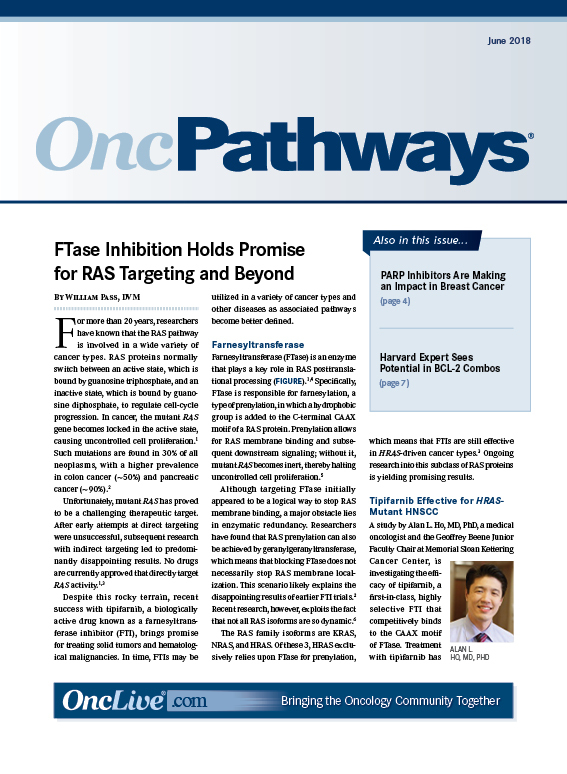 The regimen of encorafenib/binimetinib and an EGFR inhibitor is supported by findings from the safety lead-in phase of the phase III BEACON trial. 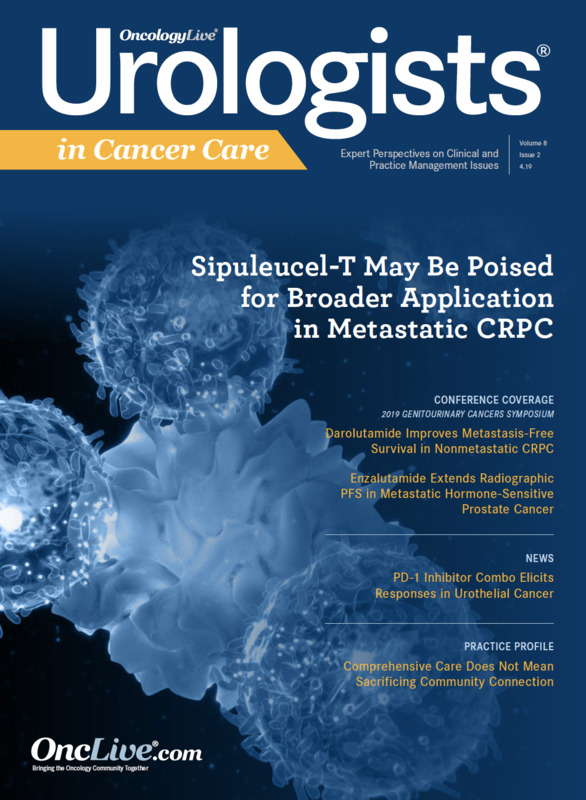 In 30 patients with BRAF V600E-mutant metastatic CRC, the estimated median progression-free survival with encorafenib/binimetinib plus cetuximab was 8.0 months and the estimated median OS was 15.3 months with a median duration of follow-up of 18.2 months.5 The ORR was 48% by local assessment, with 3 patients achieving a complete response. Messersmith WA. 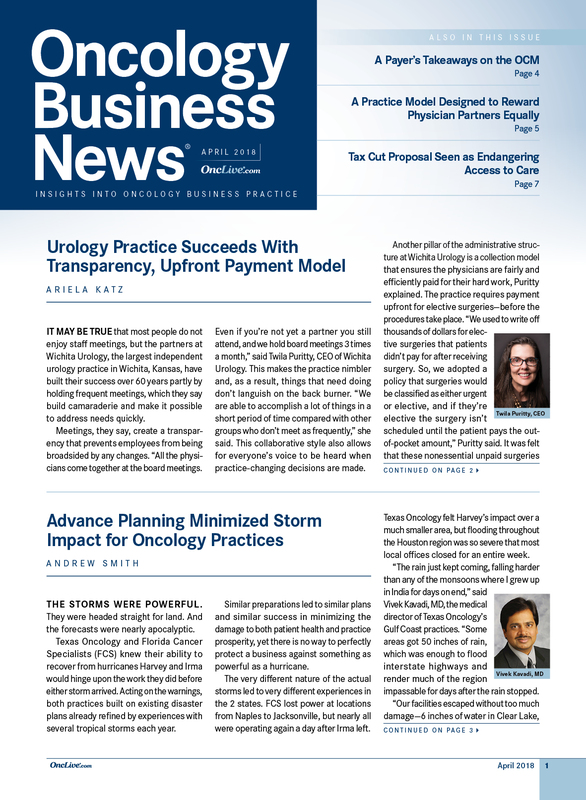 NCCN Guidelines Updates: Management of Metastatic Colorectal Cancer Presented at: 2019 NCCN Annual Conference; March 21-23, 2019; Orlando, FL. Lenz HJ, Ou FS, Venook AP, et al. 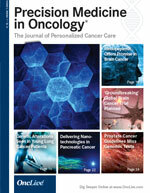 Impact of consensus molecular subtyping (CMS) on overall survival (OS) and progression free survival (PFS) in patients with metastatic colorectal cancer (mCRC): analysis of CALGB/SWOG 80405 (Alliance). J Clin Oncol. 2017;35(15 suppl):3511 DOI: 10.1200/JCO.2017.35.15_suppl.3511. Geissler M, Riera-Knorrenschild J, Tannapfel A, et al. mFOLFOXIRI + panitumumab versus FOLFOXIRI as first-line treatment in patients with RAS wild- type metastatic colorectal cancer m(CRC): A randomized phase II VOLFI trial of the AIO (AIO- KRK0109). J Clin Oncol. 2018;36(15 suppl):3509. DOI: 10.1200/JCO.2018.36.15_suppl.3509. Drilon A, Lactsch TW, Kummar S, et al. Efficacy of lacrotrectinib in TRK fusion—positive cancers in adults and children. N Engl J Med. 2018;378:731-739. DOI: 10.1056/NEJMoa1714448.